Dems, MSM, & Big Tech blame Russia for everything to divert public attention from the TRUTH. Q posts questions to get us to think for ourselves & do OUR OWN research. Fake new media is the real “GARBAGE” & enemy of the people. Once again FakeNews tries to downplay Q and label it a whack conspiracy. Connects it to pizzagate. Blames “Russian trolls”. Guessing Q is letting us know there are built-in “holds” in The Plan. #Youtube link to a great vid ==> This Video Will Get Donald Trump Elected. Barr follows procedures and law and provides to House committee in closed session to review. House committee on intel will try to quash and prevent declass of FISA and OIG report. Whitaker stays on as senior DOJ attorney to help Barr wade through battle And yes we could be dealing with hours and not days t minus 90 hours. I hope so. With q referring to placeholders being in place, I tend to think we are dealing with days since it will take time for all of this disclosure to come out on each “placeholder” item. The 11/11 placeholders are active and slated within the countdown markers. Part 1. Premise of Trump-Russia collusion hoax was classic projection to divert focus fm REAL HRC-Russia collusion. Once guilty parties indicted/prosecuted, public trust restored. MSM, H-wood, Social Media push propaganda to hide the TRUTH from the public. Part 2. C_A has used mind control for decades. Repetition of lies fm MSM, H-wood, schools, celebs, etc. creates false reality for many. [They] want to divide us knowing a divided nation is easier to conquer. TRUTH is their enemy. 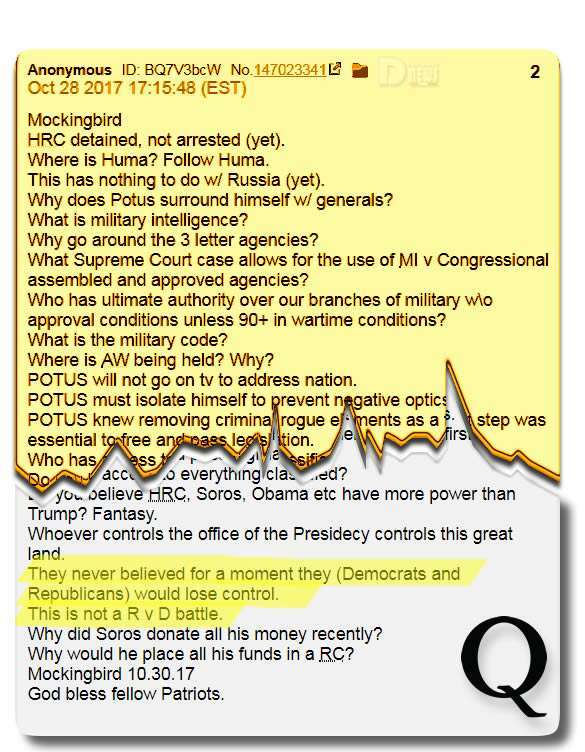 This is why they attack POTUS (& Q). Part 3. D’s have ripped off their mask & showing their true socialist colors. [They] tout “transparency” but really want only to cover up their crimes & push fake crimes onto POTUS. Prosecution & Transparency will be the long-overdue nail in the D Party’s coffin. 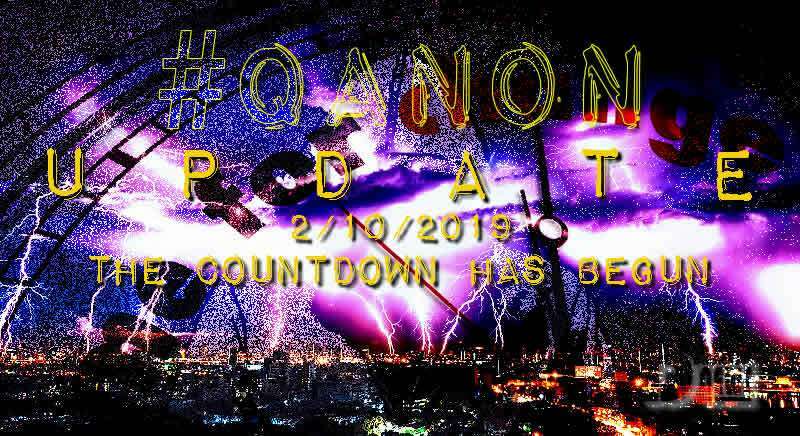 #Qanon thread for 2/10/19 – stage is set. As Q has posted many times, Democrats operate via projection…they project their crimes and prejudices onto patriots. The real Russia collusion is between the Democrats and Russia. Q cites to a brilliant article published by the Hill laying out a strong case for collusion between the Clintons and Russia via Uranium 1/Rosatom. Bill Clinton received $500k donation from Rosatom for a speech at same time HRC was crawling into bed with the Russians. Ample evidence of concern for espionage was raised via EU think tank, but this did not stop the Clintons. Q saying the stage is set to disclose the U1 treason of the Clintons. Q references back to list of fired FBI officials. Only way forward to is to first clean house of all bad apples; only way to fix system is to remove all bad actors; corrupt FBI/DOJ prevents repair. Only way to restore trust and respect for FBI/DOJ is to show public these bad seeds are not above the law and they will be prosecuted for treason to full extent of law. Under the powers of the “Old Guard”, equal justice under the law has not been applied; instead, a “pay for play” system reigned; if you were a deep state participant and/or paid into the system, justice worked for you. We are watching a systematic destruction of the Old Guard @Potus is recapturing the public narrative and wresting it away from the Deep State. The Dems have controlled the public narrative through deceit, manipulation, blackmail, mind control, dictatorial power, division (along race, wealth, gender, religion). Dems have had an unfair advantage for far too long. 4am memos circulated from CIA to FakeNews to keep narrative uniform; FakeNews and Fakewood follow marching orders and propagate Dem talking points; social media giants further control narrative and censor any challenges to narrative. Zero evidence supporting their narrative; they implement the narrative and control it through specific mind control/persuasion techniques developed and refined for years by the CIA. Qanon told us about the types of experiments conducted by CIA on citizens in prior posts. They count on the narrative becoming ingrained in the public’s mind through years of repetition by “trusted” sources, many who who are inserted as controlled opposition (think @JackPosobiec , Alex Jones, @Cernovich ); the public wants to believe that politicians on right and love our Country and that they just disagree on political issues like taxes, religion, etc. They have been programmed and taught to believe what the FakeNews and FakeWood feeds them day after day. The Deep State relies on the fact that the public is busy with work, life, etc. and does not have time to research and investigate as patriots and anons do; what happens when you turn off the tv, shut off the FakeNews, and began to research an issue like pizzagate for example? U WAKE UP to the truth and realize you have been lied to and lulled to sleep. Patriots united are unstoppable; the Democrat taskmasters fear a united public united around truth and exposing of lies and treason. They’ve worked overtime to keep the public divided the last 2 years of Pres Trump’s presidency to weaken the patriot movement; the only way they win is by keeping us divided; they see their power has slipped away; they see that 350 million patriots worldwide are awake; this truth terrifies the Cabal to their core. @realDonaldTrump and hundreds of million patriots are an existential threat to the Old Guard. The Cabal teaches their “sheep” to label anyone who bucks the system or questions the narrative as conspiracy nuts. The FakeNews and Fakewood run with the conspiracy label and repeat it over and over about a matter like Qanon or pizzagate. 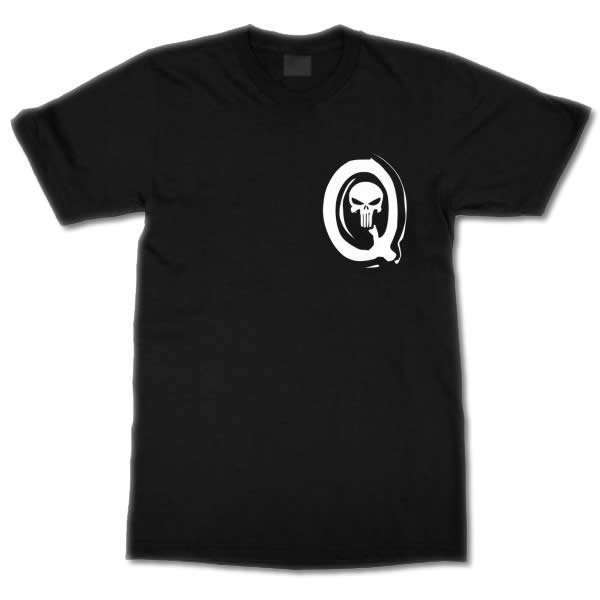 The CIA then implements MK Ultra and uses a mind control victim to carry out a shooting or a mass casualty event in the name of Qanon or pizzagate, and then associates every patriot with that person. Our families fall for it and many want nothing to do with you if you dare question the narrative or follow Qanon. A free thinking patriot is a threat to their power structure, their socialist system, their piggy bank. they will kill all of us and destroy hundreds of millions of people before giving up their power and control. With control comes power…think Clintons and Hussein they accumulated wealth through power of their positions. They then maintain power after they are out of office and increase their wealth. They believe they are gods (royal bloodlines), and the rest of us exist as sheep to serve them and satiate their perverted lusts. The Democrats never thought Hillary would lose because they have maintained control of the narrative and the sheep for generations…They never anticipated @Potus and the US Military would implement the first part of the “Great Awakening”. Transparency is key. LIght shines in the darkness and the darkness cannot comprehend it. Prosecution of the Deep state is essential so the public will know the truth and will know that even those in power who have gamed the system for so long will be brought to justice. It is happening. Jail Time/Execution. MSM doesn’t want us to know protests against globalism are occurring worldwide; it goes against their false narrative that most people support globalism, open borders, & mass migration. If it weren’t for social media, nobody would know about this. But for social media, 8chan, twitter, etc, we would have no way of knowing that patriots all over the world are fighting back against the “Old Guard”…this is what the Cabal did not account for in 2016. FakeNews will not cover these historic events. Q sets out the strategy of the Cabal to squash patriots…it’s not working; patriots all over the world are done with being controlled by the elite few who want to cram socialism down our throats to maintain power and enrich themselves. The public must wake up; What is happening in Europe is massive and unprecedented. Had Hillary been elected, we would see the exact same thing in the US right now; thank God for president @realDonaldTrump and the US Military and patriots like @GenFlynn ; be wary of people even on the right who try to steer you from truth or who try to build a following to enrich themselves or who have ulterior motives. Be wise. Be careful about believing people because of their popularity or their identity. use your mind. Ask God for wisdom. We’ve known the plan was always going to be to have Army Corps of Engineers build the wall. The shutdown showdowns are to help wake more people up to the fact that Dems don’t want to secure the border. Drug & human trafficking are big business. They also want illegals’ votes. Red Castle Green Castle – wall is being built by the US Army Corp of Engineers; plan is being implemented; military precision; @Potus could have declared Natl Emergency a couple of months ago. Why did he not: to expose motives of the Democrats. American Public now see why the Democrats do not want a wall…cuts off their supply of voters, trafficking, and drugs. @Potus has exposed true intentions of Democrats relating to illegal immigration and abortion within a matter of weeks, and he will still build the Wall.